Washington reinforcing its military presence in the Sinai following a roadside bomb attack last week. Washington is sending 75 extra troops to Egypt's Sinai Peninsula to increase the safety of U.S. forces there following a roadside bomb attack last week, the Pentagon said Thursday, reports AFP. 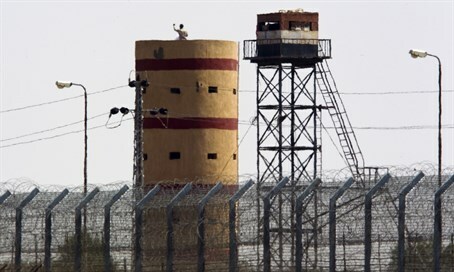 The bombing injured six international peacekeepers, including four Americans, who are in the region as part of a force that monitors a 1979 peace treaty between Egypt and Israel. Pentagon press secretary Peter Cook said the deployment had been planned before the attack. "This is not a response to what happened with that IED (Improvised Explosive Device) attack a few days ago," Cook clarified, adding, "We've been in discussions with key stakeholders regarding plans to increase force protection since early August." Cook said that in addition to the troops, the Pentagon is sending medical equipment including surgical teams. Egyptian security officials said the peacekeepers were hit by a bomb planted on a road leading from their base. The officials said Islamic State (ISIS) terrorist shad placed bombs there aimed at passing Egyptian troops. The Sinai has witnessed some of the heaviest fighting between security forces and Islamists since the army ousted President Mohammed Morsi of the Muslim Brotherhood in 2013. Islamic State's Egypt affiliate, recently renamed Sinai Province, has killed hundreds of soldiers and police since Morsi’s removal and has claimed most of the attacks in the region. Egyptian government officials have accused Morsi's Muslim Brotherhood, which was blacklisted in Egypt as a terrorist organization, of links to Sinai attacks. The Brotherhood, however, claims it is a peaceful movement that wants to reverse what it calls a military coup through street protests.